Hello again to a new week of crafts! first Flaunt It Friday link party!! this weeks Flaunt It Friday link party!! it is only natural that I decorate FLOWER POTS!!! And not just any flower pots. 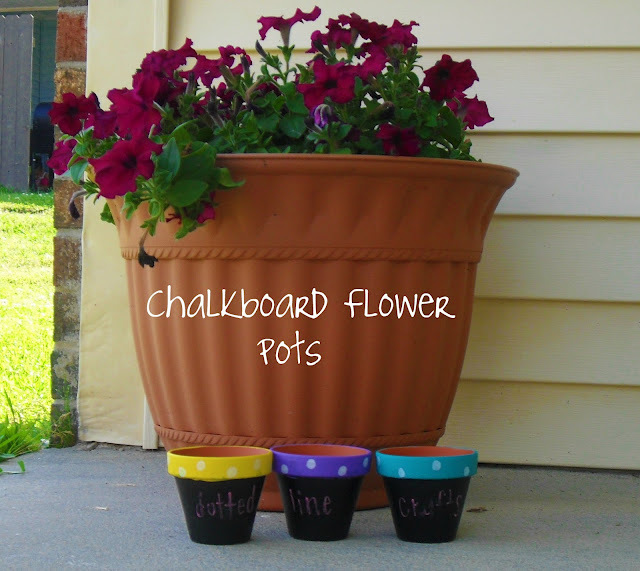 These are mini CHALKBOARD FLOWER POTS!!!! Thats right, the bottom half is like a little chalkboard. or leaving a welcome message. Remove tape from top rim. It should still be the natural pot color. Paint the top rim any paint color you would like! 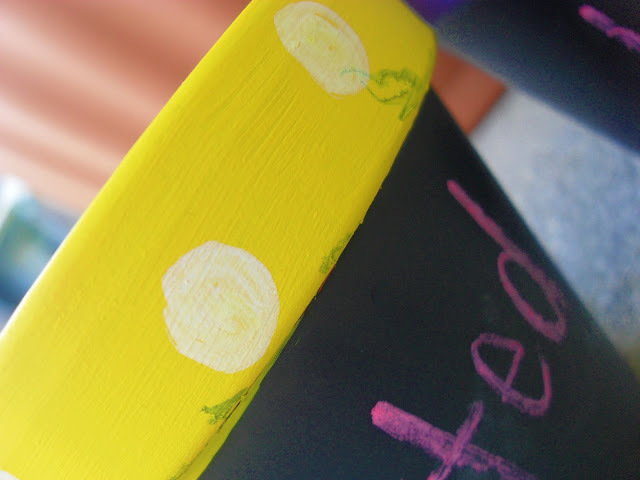 Add the white circle touches with a paint pin.